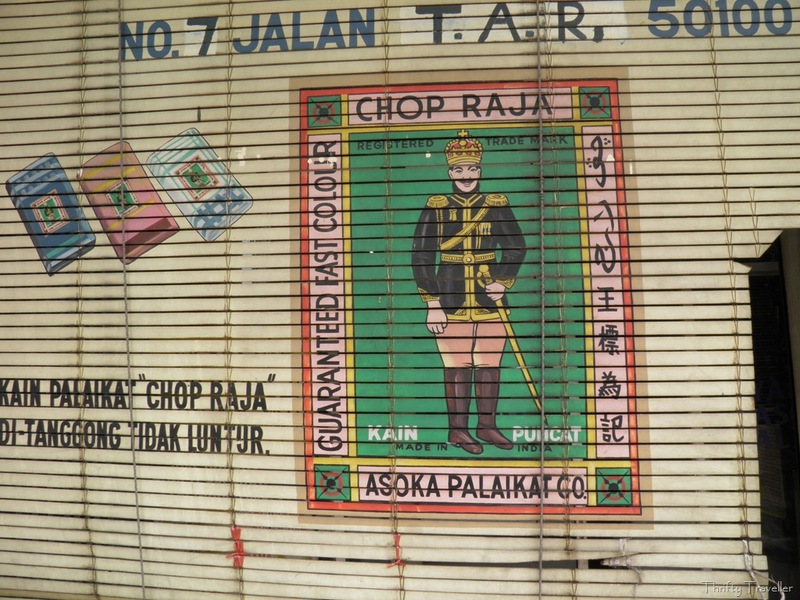 Jalan T.A.R., once known as Batu Road, is a busy and bustling street in the commercial heart of Kuala Lumpur. 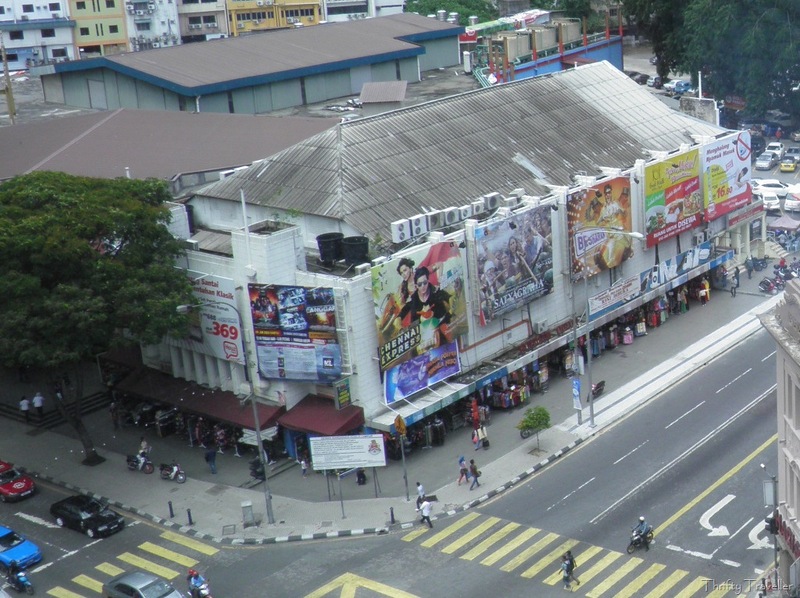 It runs from the northern end of Dataran Merdeka (near Masjid Jamik) all the way up to Chow Kit market. Bamboo ‘chicks’ giving shade to a shop selling Indian made lunghis (sarongs). 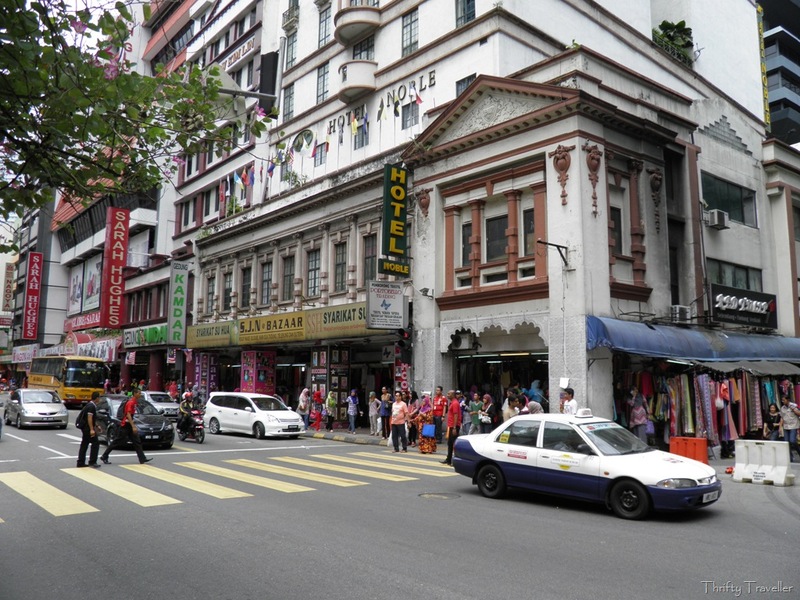 There are dozens of textile and clothing shops here and in the narrow alleys linking Jalan T.A.R. with the Little India district of Kuala Lumpur. 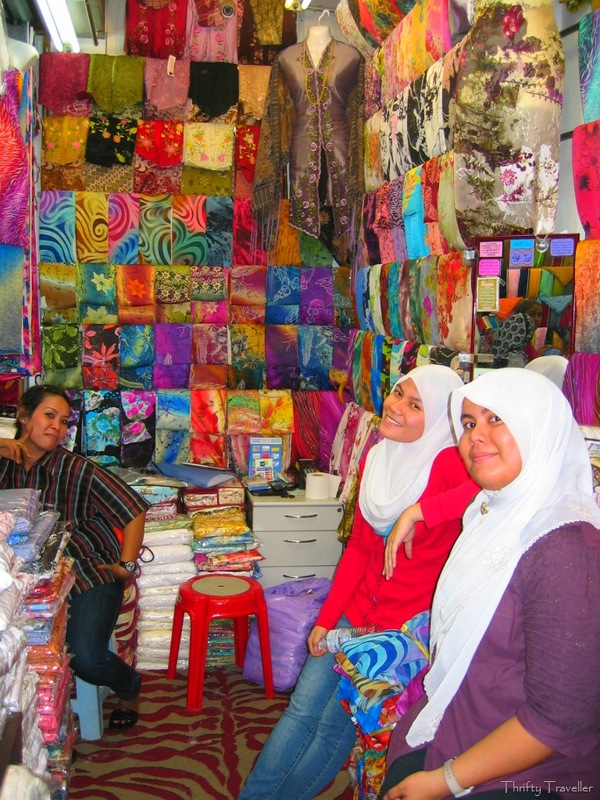 Most of the shops and stalls seem to be run and frequented by Malay and Indonesian women and sell the colourful fabrics used for the traditional, loose fitting baju kurung. 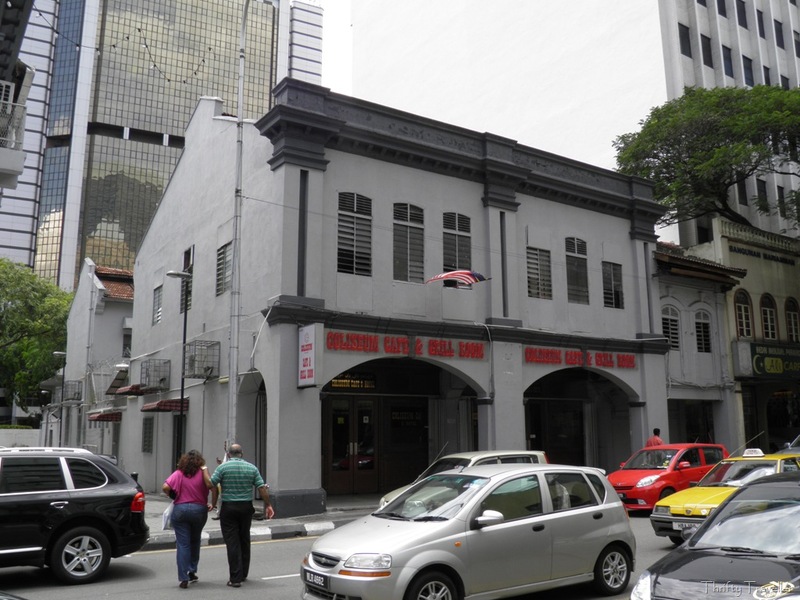 The famous old Coliseum Cafe & Grill Room is still located on this stretch of Jln TAR. 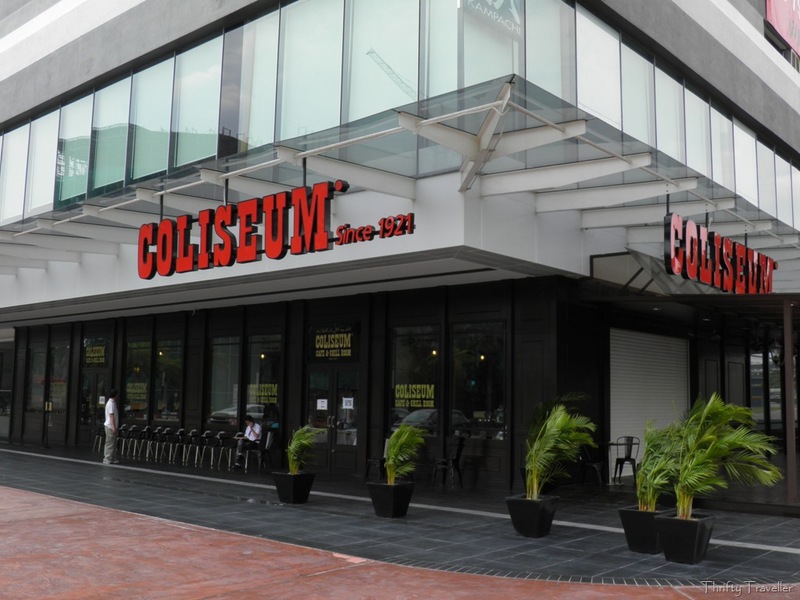 Incidentally, the Coliseum has branched out and opened a new outlet in Petaling Jaya. I gather they have replicated the original menu but the ambience won’t be quite the same. Last I heard they had not yet obtained a liquor license. Architecturally, there are not many buildings on this street to write home about. Here are a couple of the better ones. 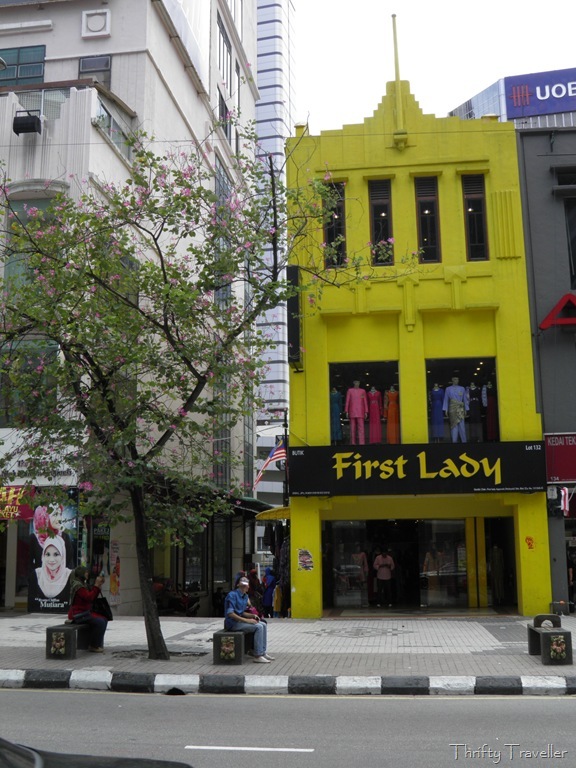 Sogo department store is located nearby and from the upper floor you can get a good view of KL’s skyline. This building below was, or maybe still is, the Odeon cinema. 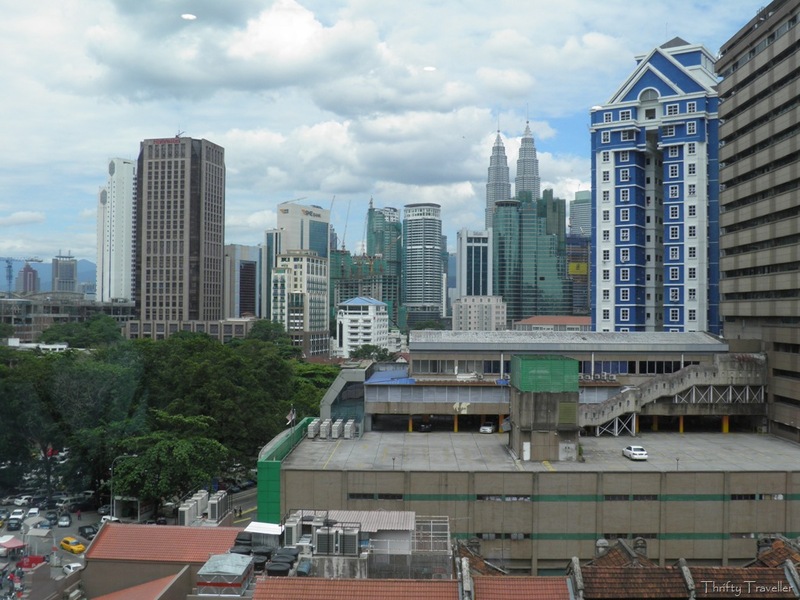 Property developers are keen to build apartment and office blocks with views of KL’s iconic Petronas (Twin) Towers, so much so that they are increasingly becoming screened off by high rise tower blocks. 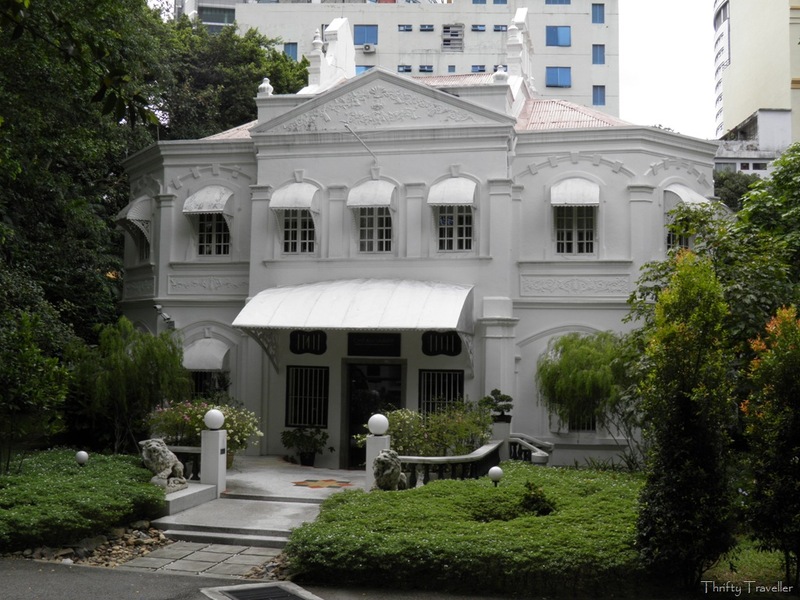 Down a side street, Jalan Medan Tuanku, is a lovely heritage building called the Loke Mansion, which was the former home of Loke Yew (1845-1917) who was regarded as the richest man in Malaya at that time. The building was restored to its former glory by a law firm who now use it as an office. I don’t think their security guards wanted to let me go inside so I took this photo through a gap in the fence. 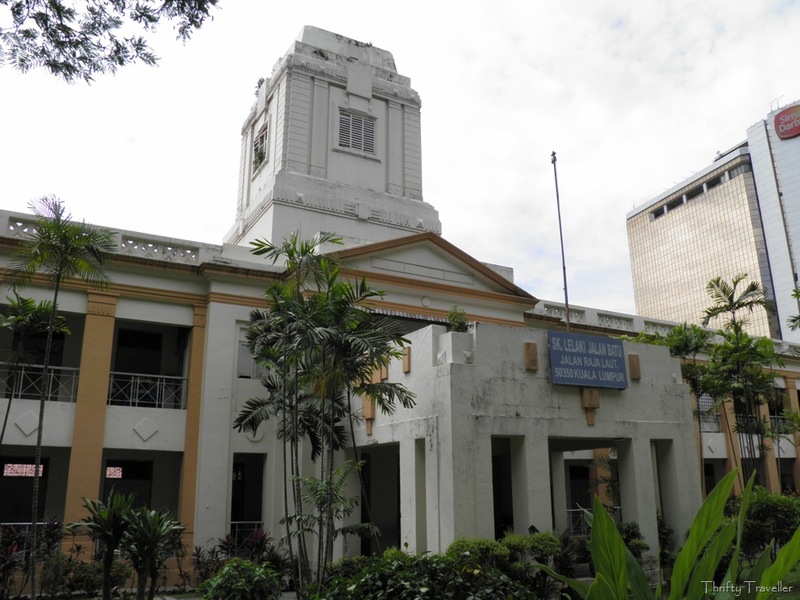 My last photo stop on this mini-walk was Batu Road Boys School which is one of the oldest primary schools in Kuala Lumpur having been established in 1930. The first headmaster was a Mr. Wheatley who ran it until 1939. The building was used as a barracks by the Japanese during the War and they grew vegetables on the playing fields.